Maintain a thorough understanding of Virtual Metric’s solution offering and its competitive advantages, actively monitor the competitive landscape and provide feedback to the business. Conduct market research and find potential customers. Leading all business development initiatives. Achieving revenue targets and goals. Receive and answer prospective customers’ sales inquiries. Qualify leads by explaining the value of the service and products offered. Developing and executing plans with the focus on channel partners and mid-market to enterprise size VMware and Microsoft virtualization customers. Actively contribute towards the improvement of the team and operation, participating in team meetings, discussions and other activities with a focus on development. A proven track record in strong presentation skills is essential in the role of Business Sales Executive. Must have a firm grasp Business Intelligence & research and strategic analysis skills. Excellent communication skills, both verbal and written and ability to make cold-calls to potential clients with confidence is key to success in this role. Be skilled at agreeing and closing deals with clients. The ability to work and interact with Technical and Marketing team. 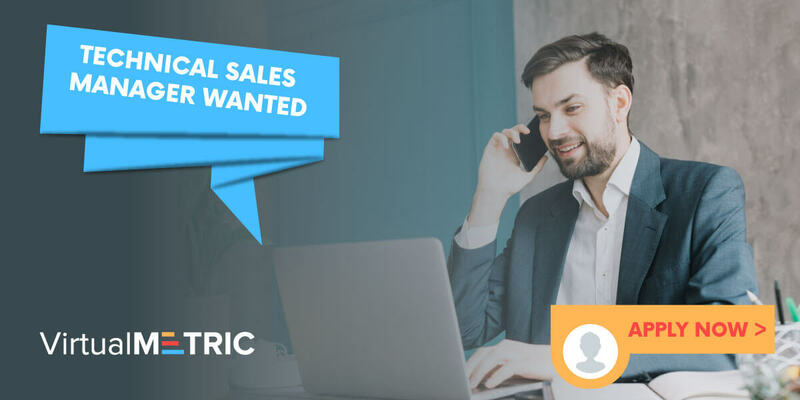 Must be a high performing sales manager with a proven track record of consistently exceeding established goals and objectives. We will reward you with benefits with a salary and a commission based on your results. IN ORDER TO APPLY: Please, submit your CV to [email protected] You can also attach a Cover Letter. We will get in touch with you shortly! Join our team and be part of a growing and innovative company with passion for technology!